Whether you’re just starting out on your freelancing journey or looking to redirect your existing business, breaking into a new niche is something you’ll inevitably need to do. For many freelancers, “niching-down” can be a nerve-wracking decision. Let’s dive into how to take the fear out of how to choose a freelance writing niche, especially if it’s one that’s new to you. To run a successful business, freelance writers need to be a jack-of-all-trades. We are often juggling responsibilities like accounting, editing, and marketing on top of our writing duties. However, that same concept doesn’t necessarily translate when it comes to landing paying clients. More often than not, clients will prefer hiring someone who is well-versed in their specific field rather than a generalist. Better to be a Master-of-One than a Jack-of-All-Trades. After all, which sounds more appealing to a client; a writer who “knows a little bit about everything” or one who “has proven experience in the industry”? You should choose your niche carefully and after thoughtful consideration. After all, the idea is that you’ll be doing the majority your work in that field. Before settling on a new niche, ask yourself the following questions. 1. Are you specially trained, hold qualifications, or have significant life-experience in this subject area that would render you an “expert” or an authority? 2. If you answered no to the first question, are you willing to invest time and energy to learn, a lot, about the subject? 3. Are you genuinely interested in the topic to the point you feel you could continually write on the subject without exhausting or repeating yourself? If you’re not entirely sold on one niche, take some time to mull it over. Create some samples on different topics. What did you enjoy researching and writing most? Did one topic seem to “flow” better than others? Choosing a new niche is an incredibly personal decision and should be dependent on your preferences, interests, and experiences. While researching, you’re sure to find conflicting advice ranging from “you must niche-down immediately to make money” to “don’t pick a niche right away.” The truth of the matter is, you have to do what’s right for you. While choosing a niche is a huge hurdle in itself, in reality, you’ve only just begun. There’s a lot you have to do once you’ve chosen your focus area, but you’ve got this! If you want to break into a new niche, make sure you do right. In this case, “doing it right” means doing your due diligence and starting at the beginning. This step is listed first because it really should drive how and where you market yourself. For example, are you looking to write for the consumer or business side of your niche? (B2C or B2B). Be sure to keep an eye out for how pieces are written for different audiences within your field. Additionally, check out what kind of work is most often being commissioned in your niche. For example, are you finding that clients in your niche are looking for more copy-heavy writing or solely technical writing? It’s a good idea to get a feel for what the “need” is so you can market yourself accordingly. Note: Contena marks all their jobs by category, making it super easy to find jobs within your niche! Do some research on what’s trending in your niche across blogs, books, social media, and more. Especially if you’re brand-spanking new to writing on the topic, it’s a good idea to make sure you’re up-to-date on the latest trends before diving in. Another great way to stay on top of what’s new in your niche is to network with those already working in it. From job leads to helpful advice, networking can help you learn the ins-and-outs of your niche, even if you’re just breaking in. 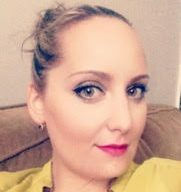 I’m a big fan of mastermind groups myself, which can act as an online (or in-person) community of individuals with similar or shared goals. The contacts I’ve made from my group have been a massive help along my journey. Whether you join a Facebook group, do a hashtag search on Twitter, or keep a keen eye on LinkedIn, start networking immediately. When you’re switching niches or are a newbie freelancer, arguably one of the hardest parts of breaking into a new niche is landing clients. When a client is considering hiring a freelancer, they almost always will want to see samples of their work to both get a feel for the writers’ voice and gauge their understanding of the subject matter. Even if you’ve worked as a freelancer before, you may have a hard time landing a tech-specific gig when your portfolio is entirely made up of healthy living pieces. Once you’ve done some research and have a good understanding of the subject, get to writing some samples. It doesn’t matter if you self-publish or you guest-post for free, just make sure you have some high-quality, niche-specific work to send potential clients. Unless you have the qualifications or experience to back you up as an authority in the field, consider taking a course to beef up your knowledge. Online courses are a great way to get a better understanding of your field and (bonus points! ), fits into even the busiest freelancer’s schedule. Depending on your chosen niche, you can also check out local colleges or community centers which may offer classes to help boost your understanding of the subject further. To make sure you’re delivering high-quality samples that will secure your spot in the niche, consider getting your samples professionally proofread, edited, or looked over by someone in the field. As we mentioned, as a freelancer, you’re more than likely already tasked with doing some of those jobs on top of your writing. However, when starting a new niche, possibly with limited work-experience to fall back on, you have to make sure you’re putting your best foot forward. Using your amazing networking skills from earlier, ask a newfound niche-buddy if they can look over your work and ensure you’re on the right track. Armed with samples to send, you’ll need to start presenting yourself as a niched-down writer. How do you do that? Loudly and proudly, of course! Firstly, start with your online presence. Change your title in your Twitter bio, Facebook business page, LinkedIn job description, heck, even your email signature. If you have a writer’s website, your new narrowed-down niche should be prominently displayed. While the majority of freelancers begin by pitching for jobs, the hope is that clients eventually will seek us out. To make sure you’re among the sought-after, you’ll need to market yourself accordingly. If you want to cut down on the anxiety of zeroing in on one area, here’s something super important to remember. You can always change your niche. Freelancers change their niches all the time, for varying reasons. After working at it for some time, you may find that your current area of expertise isn’t as lucrative as you initially thought. Perhaps your interests have changed since you began freelancing. No matter the reason, it’s okay to change your mind. That’s the beauty of freelancing; you’re not pigeonholed into one thing for the rest of your career. Confidence plays a huge role in landing new clients, no matter your niche. If you’re passionate enough about the subject to niche-down, use that same passion to convey why you’re the best person for the job. 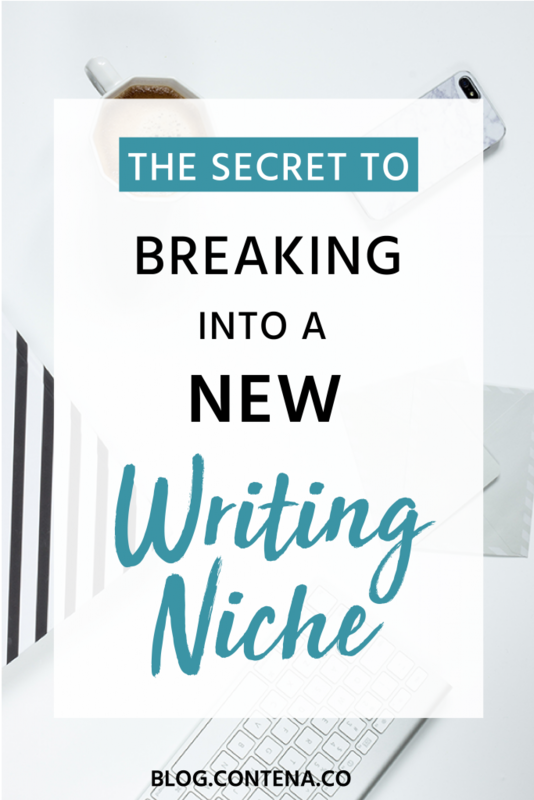 Breaking into a new niche doesn’t have to be a scary undertaking, but it does take some legwork on your end. As it is with many aspects of freelancing, you get what you put in.